Odlin Cycle Coaching offers cycle coaching and mentoring for competitive, fitness and health goals. I use a holistic approach to guiding you to fulfil your cycling potential. This is achieved through one on one coaching off the bike and group rides with your coach. 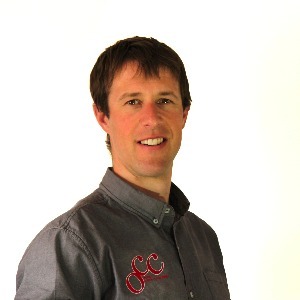 Paul first started competitive road cycling in 1999 while studying Physical Education at University of Otago. He graduated in 2001 with first class honours (Exercise Prescription) and has since trained as a Secondary School Teacher and Cycle Coach (BikeNZ Level 1). All the while Paul has competed successfully in national and international road cycling events gaining recognition as a top domestic road cyclist. Racing highlights for Paul include 2013 Oceania Time Trial Champion; 2012 New Zealand Elite Men’s time trial and Oceania Road Race Champion; sprint ace winner 2011 Tour de Korea; stage win Trust House Tour of Wellington; first overall in the 2007 Benchmark Homes series and five individual rounds since its inception in 2005; and twice winner of the GrapeRide. Paul currently runs his own business - Odlin Cycle Coaching (www.christchurchcyclecoaching.co.nz), which is aimed at coaching and mentoring beginner to elite level cyclists to achieving their potential. His services provide one-to-one personal mentoring, internet-based individualised programmes, and riding with his athletes in group rides. Success. Coach Paul Odlin has been notified of your message. To hire Paul Odlin as your coach, select the coaching service that is right for you.